Open-world survival is one of the most iterative genres in video games. There's always a new way to collect, craft, and create — and a new way to present it all. Enter CardLife, by Freejam (Robocraft), who takes a game formula that on the surface you might recognize and covers in it layers of corrugated cardboard. Now available on Steam Early Access, Raft is a survival game where players need to endure the elements on…well a raft. Players will need to endure thirst, hunger, and a blood-thirsty shark in order to survive. After spending nearly two years in Early Access, Funcom's Conan Exiles is now available in its full, complete form — which means there's never been a better time pulverize your enemies into a pulp as you journey throughout the savage land of Hyboria. Back in 2015, Cube Life: Island Survival hit the Wii U, bringing block-building, open-world adventure to the hybrid console. Now, several years later, the eShop bestseller is coming to PC, bringing its Minecraft-meets-The Forest vibe to the modern generation. The Long Dark Official Wiki! With under 5 days on its Kickstarter campaign, our partners at Hinterland Games need your help to make The Long Dark a reality! We're excited to have The Long Dark Official Wiki at Gamepedia. If you're a fan of survival games, this is definitely the game for you! The Long Dark takes place after a global disaster that wipes out electricity and features beautiful, stylized artwork! Comprised of industry vets, Hinderland Games' The Long Dark is a first person survival game set moments after a disaster. You play the role of William Mackenzie, who's left stranded after your helicopter crashes in the mountains. Do you have the survival skills it takes to keep going? You'll be challenged daily in The Lone Dark! Be sure to back them on Kickstarter with one of the awesome reward tiers available! $1 CAD makes you a successful backer, $20 CAD grants you a digital copy of the game for Mac, Linux or Windows, $40 CAD includes beta access, and starting at $55 CAD, you can own physical copies! Already successfully backed The Long Dark's Kickstarter? Hooray! Now check out the official wiki and be a contributor! Being a contributor is easy and we give you all of the tools you need to be successful, whether you're correcting a minor grammatical error or adding in an entire new section. For a quick overview, check out the help page every wiki has. For a more in-depth view, including tutorials, our new Help Wiki has you covered. Have a question you can't figure out or just want to say hi to fellow editors? Join #Gamepedia in IRC and start conversations with both Gamepedia staff and fellow community members! The Dead Linger Comes to Steam! We are proud to announce that our partners at Sandswept Studios now have their game, The Dead Linger, available at Steam! One of our earliest partnerships, The Dead Linger Wiki was one of our very first official wikis and we are happy to celebrate with them. While the game is in its Alpha stage, it is in active development, which you can be a part of by playing it now! The Dead Linger is currently available for Windows, with Mac and Linux to follow. The Dead Linger is a first person zombie horror survival game that aims to allow players to drive vehicles, barricade windows, craft, oh, and kill zombies! Fight them with your fists, with a frying pan, whatever you can do to survive. Stay ahead of the horde by coming up with creative solutions to your problems. The Dead Linger also allows for multiplayer of up to 16 people. Explore this real world sized game and know that once purchased, all future updates are free! Want to join one of the oldest communities on Gamepedia? Join in as a contributor to The Dead Linger Official Wiki and get editing! To learn more about contributing, each wiki has a help page with a good overview. For more in-depth information, including tutorials, the Gamepedia Help Wiki has what you need. There are also IRC channels where you can chat with fellow community members and Gamepedia staff. Join #Gamepedia and say hi! Don't forget to get your copy of The Dead Linger at Steam! With over 2,000 pages, the DayZ Wiki is full of information for not only the DayZ ARMA II mod, but for the standalone as well! What started out as a mod a few years back became such a successful realistic survival game that a standalone is now in beta. DayZ pits survivors against zombies in one of the most realistic survival games out there. Is that blood from your character? Better make sure to patch yourself up or you could end up unconscious and bleeding out! Band together with other survivors, scavenge for food and search for vehicles to repair, all the while fighting back zombie hordes! Once nightfall comes, you and your friends hopefully have a good place to hide until daybreak. Thanks to such an amazing and dedicated community, the DayZ Wiki is a great resource for both new and veteran survivors alike! Want to join in on helping it continue to be such a wonderful tool? Check out the help page on how to get started! Wanting to turn to his roots, father of the horror survival genre, Shinji Mikami, wants to place players in a game filled with absolute horrors. We couldn't be happier to announce that one of our newest wikis is none other than Mikami's return, The Evil Within! Players can expect that the immersive world of The Evil Within will be anxiety driven, pulling them to the edge of their seats, and most of all, terrifying! This multi-platform game is developed by Tango Gameworks and published by Bethesda Softworks. Planting players in the story of Sebastian Castellanos, a detective who witnesses not only horrible deaths, but the downward spiral into insanity of a friend and the world falling apart. We're eagerly awaiting for more information to be released about The Evil Within, but the wiki is ready for community support! Gamepedia depends on community collaboration, as all of our wikis are for and by the community. If you would like to become a contributor, please see the help page on getting started! We're happy to announce that we now have Rust Wiki up and running, ready for Rust enthusiasts to jump in and start editing! 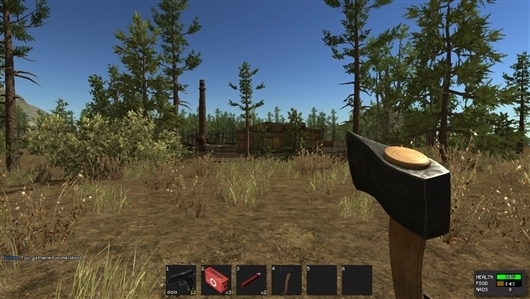 Rust, created by Garry Newman, is a sandbox survival game with player versus player gameplay, complete with crafting, building and even a vehicle. Currently in alpha testing, players may sign up to participate by registering at the Official site. Rust is developed by Facepunch Studios, the same studio behind Newman's Garry's Mod, also known as GMod. Want to help, but not sure where to start? Take a look at the Help section for Rust Wiki, which has tips on editing wikis, adding in new content and creating new pages.